In this episode, we chat with island-grown Tessa Whitehead, a painter and sculptor whose ability to communicate landscapes through shapes, vessels and symbols is remarkable. As art has never been defined by materials or techniques neither has Tessa. Each piece has a bold intensity to it, each completely different from its forerunner, but never lacking her unique and perfectionistic style. Tessa’s friends are her most meaningful of critics, as she navigates the art world from both “NINE”, her Nassau-based Studio, and from across the pond. A true flaneur in nature, Tessa sees what others let go unnoticed. 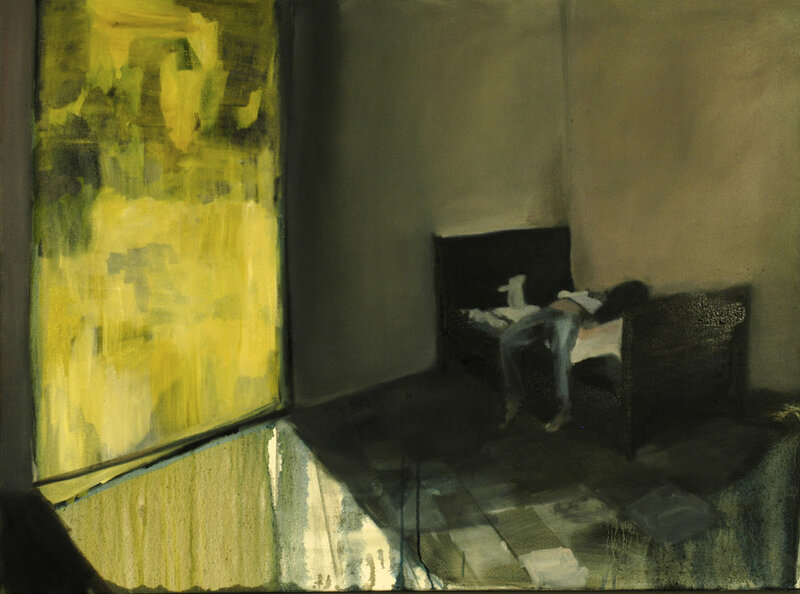 Tessa’s work explores the very meaning of “canvas” and the societies from which we find our bearings. Cacique. Where do you get your inspiration from ? Tessa. I have always been inspired by descriptions of landscape. Derek Walcott’s ‘Omeros’ is currently on my nightstand and is incredible, but I will just as easily find a single passage in an unassuming novel or even an autobiography. One of my favorite passages is in ‘Going Solo’ by Roald Dahl. I am also always collecting images from the internet, from my family’s photo albums, from magazines, from second-hand stores and then I pile them up in my studio and flip through when I need to. I reference them all the time. T. When I came back home 7 years ago, I stopped painting and made sculptures for a while. Oil paint doesn't seem to make much sense in this landscape and I was facing a whole new set of issues. Firstly, I was creating from the memory of home when I was away and when I returned I was quite suddenly responding to my surroundings. It was jarring. I started by making a cement boat in my parents yard, using the soil as a mold, and it just grew from there. I don't really think sticking to one media holds any importance for me, but I also think I move between things because I am still on a kind of search for what fits. C. What is integral to your work as an artist regardless of medium ? T. Honestly, I’m not really sure. I think my friends would say my work always looks really wistful despite how happy I am about it. C. What is your artistic method ? T. Oh man, I really wish I had a better method. Mine is just to work so hard that I’m not embarrassed to invite my friends to see the work. That often means repeating the work way too many times in order to get it just right. It’s foolproof because even if its bad, everyone is impressed by how tired you look! But I also need to come up with a better system. C. Where do you work from ? T. I work from my own studio space called NINE in Chippingham, Nassau. The studio houses 5 other artists and it sits right across the street from POPOPstudios. C. What Techniques do you favour ? T. I think I am a painter, so I am a bit stuck there. But I have the most fun making collaborative sculpture. Heino Schmid and Tessa working collaboratively on “These Clapping Bones” at SHOWOFF, London. 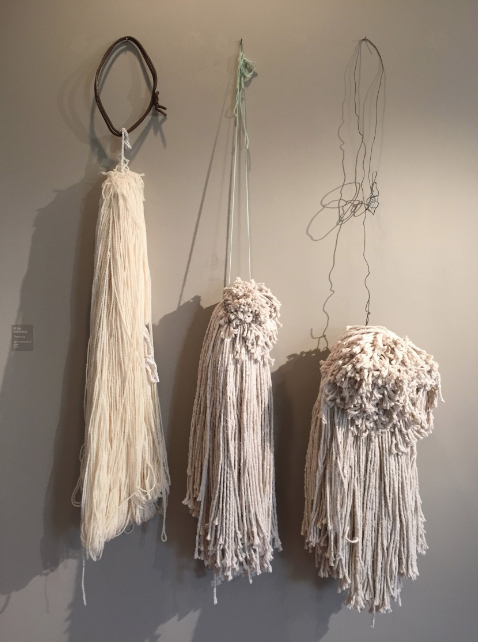 The artist was awarded Chisenhale Studio4 Residency (2014), her work was shortlisted for Wells Art Contemporary, Well’s Museum, UK (2013), for the Threadneedle Prize, Mall Galleries, London (2012), it was selected to exhibit in the Royal Academy Summer Show (2011) and she was awarded the William Coldstream Memorial Prize for which her work acquired by the University College London collection (2009). 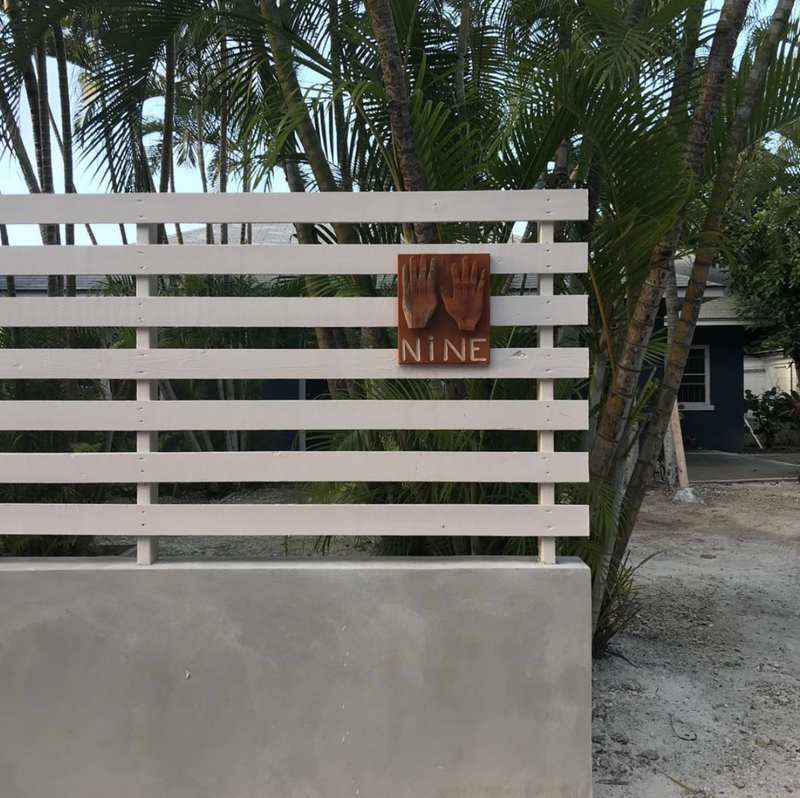 The logo for Tessa's new studio, "NINE" designed by Cydne Coleby. 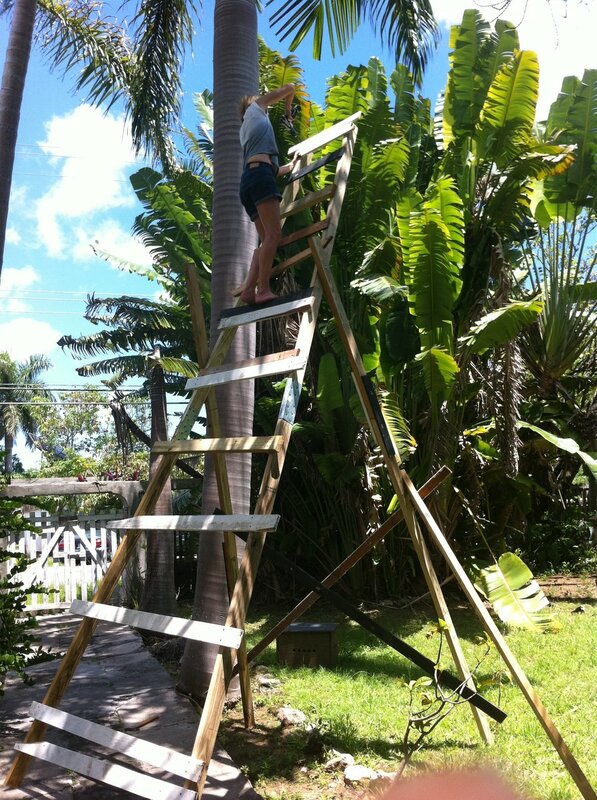 Tessa's father carved the sign for her studio in Chippingham, Nassau, Bahamas. C. Do you attempt to tackle anything with your art ? it is controversial or Perhaps topical ? T. I think about landscapes and how our relationship to land is formed and described, but I am not sure I tackle anything really. C. Where do you feel art is going particularly here in the bahamas ? T. I love working here, at home, because we are less influenced by the art market and just get on with the activity of making art. I feel really lucky to make work for a knowledgeable audience who aren’t nervous to ask questions, to be critical and who buy and live with my work. Artists here, and in the diaspora, are generous, engaged and work hard. We all collaborate and support each other, which I genuinely think is really important. C. WHat has been a seminal experience that you’ve had ? T. SHOWOFF, an exhibition in London was one of the best experiences I’ve had while working on a project. Heino Schmidt and I worked collaboratively to create a 5-minute performance for the exhibition which we called, “These Clapping Bones.” It was such a hard piece of work to make and I was so proud of it. C.What is the most indispensable item in your studio ? T. My stack of drawings and found images. C.What is the last piece of artwork you purchased ? T. A cardboard sculpture of a gun by Bahamian artist, Keith Thompson. C.Which work do you wish you owned ? T. A sugar-apple chandelier by Kendra Frorup. C.What under appreciated artist, gallery or work do you think people should know about ? T. Kendra Frorup’s work is definitely appreciated, but it is really outstanding and it just keeps getting better. C.What was the last art show you went to ? T. The Bahamas Central Bank Open Call exhibition. 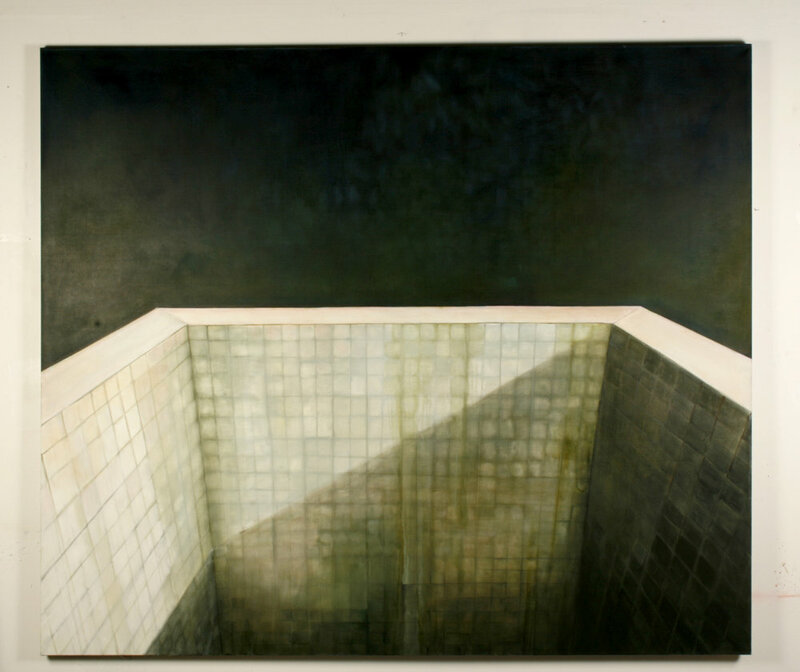 Richardo Barrett’s painting won the first prize to the open call. His piece was so pretty and funny and at the same time, quite infuriating because now we all need to up our game as a result of his piece. C.What was the last show that surprised you and why ? T. The Central Bank Open Call was outstanding. The winning selection of artists was great. There were also quite a few other artworks that were really memorable. I keep thinking about this delicate sculpture made out of the hood of a crashed car! C.Where is your favorite place to see art ? T. I like seeing artwork in collections - one of my favorites is the Phillips Collection in DC. In a collection, the artwork has been loved, lived with and properly contextualized. At Cacique, we love to showcase our colourful Bahamian art scene and the individuals that carve its distinctive flair. For more information on Tessa Whitehead and our other featured artists and spaces, or to find out about curating a unique look and sound for your event, feel free to contact us.